Click on a slide to get directions from your area. Take the New York State Thruway South to New Paltz, Exit 18. Turn right onto Route 299 East. Follow 299 for 5 miles to a "T" intersection. Turn left onto 9W North. Follow 9W North 7.7 miles, A Frosty Fest is on the left. Take the Mid-Hudson Bridge West. First exit to Route 9W North. Follow 9W for 10.5 miles, A Frosty Fest is on the left. Take the New York State Thruway North to New Paltz, Exit 18. Turn right onto Route 299 East. Follow 299 for 5 miles to a "T" intersection. Turn left onto 9W North. Follow 9W North 7.7 miles, A Frosty Fest is on the left. Take the Kingston-Rhinecliff Bridge West. First exit onto Route 32 South. Follow Route 32 for 2.7 miles. Take left onto Route 9W South/Frank Koenig Blvd. Follow 9W for 6.6 miles, Headless Horseman Hayrides & Haunted Houses is on the right. A Frosty Fest is a family minded event. There will be no smoking allowed by guests anywhere on the property, including the parking lot. Looking for a nearby place to stay, eat, or other regional attactions to check out while coming to visit A Frosty Fest? Check out the helpful links listed below. We support the Esopus Business Alliance. Links will open in a new window. Visit the Ulster County Tourism site for listings and information. If you are looking for daytime activities in the Hudson Valley, please visit the New Paltz Regional Chamber of Commerce or the Ulster County Chamber of Commerce. Click on a hotel name to visit their website. Enter your code to find your photos! 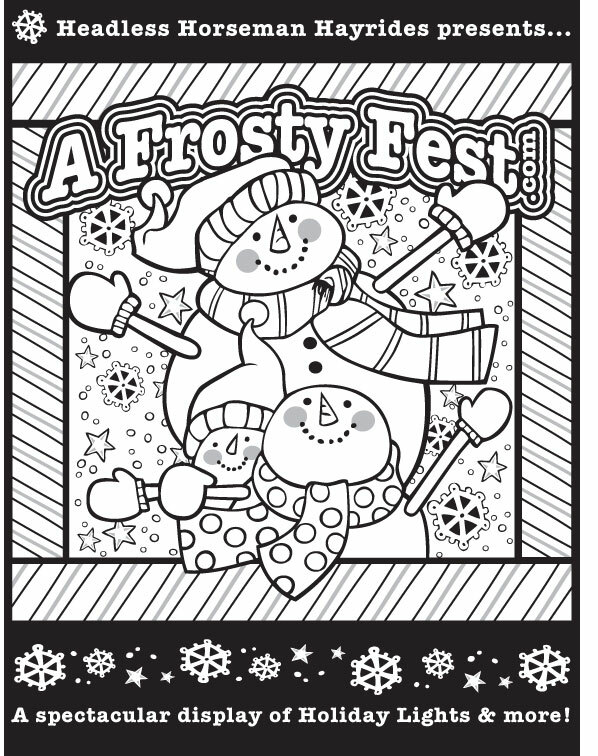 A Frosty Fest Coloring Picture for Kids! 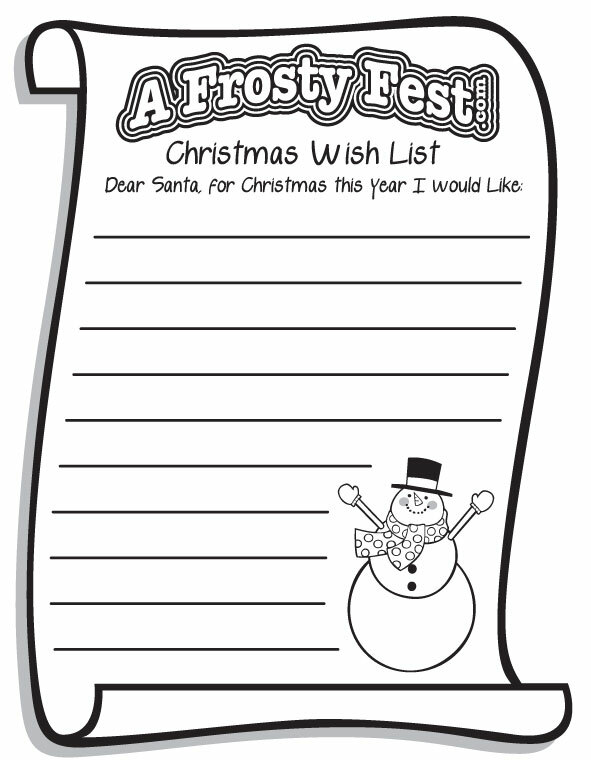 Click here to download and print out the Frosty Fest picture to the left for your kids! Christmas Wish List for Kids! Click here to download a wishlist that your kids can use for Christmas!